HOUSTON — Insurance claims professionals likely won’t be replaced by computers as new technology is introduced, but companies in the sector will need to embrace the changes to better perform their functions, a panel of experts said. Automation of claims at some level will free up time and resources for more complex cases that will still need a “human touch,” they said. While technology will make the claims process more efficient, the claims industry is based on relationships, said Robert Bowers, national claims and customer service leader at Westfield Insurance Co. in Westfield Center, Ohio. 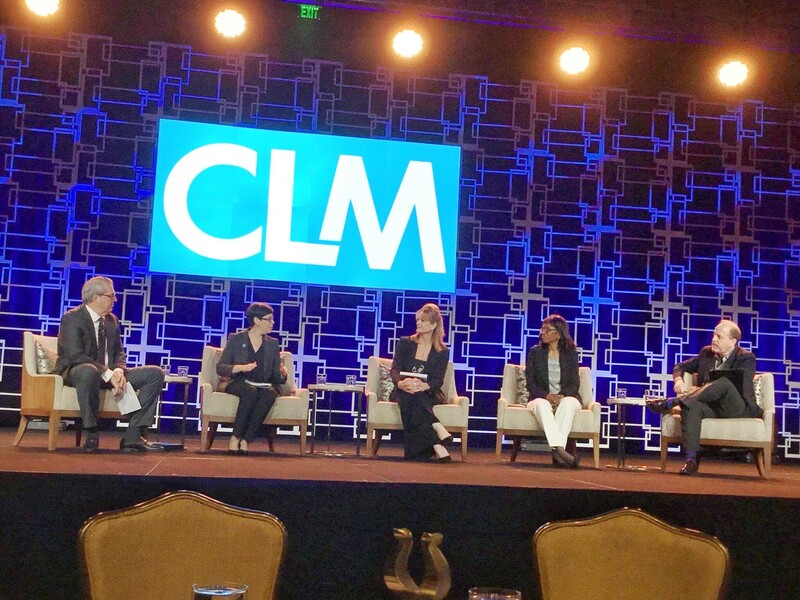 “The relationships and skills that our adjusters have are going to be just as critical tomorrow as they are today,” he said Thursday during a panel discussion at the Claims and Litigation Management Alliance’s annual conference in Houston. CLM is a sister organization of Business Insurance. However, “some sets of claims — higher frequency, lower severity — will in part or in whole be automated or self-adjudicated to some degree,” he said. Technology will free claims professionals from some routine tasks, said Deborah Saunders, senior director of claims management at Comcast NBCUniversal in Philadelphia. Technology “allows us to perform at a higher level of expertise, and then technology becomes essentially our superpowers to do what we do so well and handle the very human aspects of claims,” she said. In addition, metrics that can be identified and better presented using technology will help claims professionals demonstrate the value of their roles, Ms. Saunders said. The introduction of new technology into the claims sector will allow claims examiners to concentrate on more complex problems, said Dawn Watkins, director of integrated disability management at Los Angeles Unified School District and one of the 2017 Business Insurance Women to Watch. “They will need critical thinking to identify when that human touch and higher level of expertise is required,” she said. But the introduction of the new systems and processes needs to be carefully managed, said Linda Lane, president of Harbor Health Systems, a unit of One Call Care Management in Jacksonville, Florida, and one of Business Insurance’s 2015 Women to Watch. Organizations need to ensure that they have good data stewardship, she said. “You can have bad data going into a phenomenal system and the individuals making decisions based on that are making poor decisions because the data is not strong,” Ms. Lane said. And the cost of installing and implementing new technology will mean that companies will be looking for savings elsewhere, said David North, president and CEO of Sedgwick Claims Management Services Inc. and recipient of CLM’s 2018 Lifetime Achievement Award, who moderated the panel discussion. “The stark reality is that we can’t find enough money to invest in technology as aggressively as we need to if we don’t find offsets,” he said. All companies in the claims sector, which use numerous different systems, will have to create more efficient processes and will have to implement some level of self-adjudication in claims to reduce costs, he said.